She has psoriasis. Her skin has wounds. 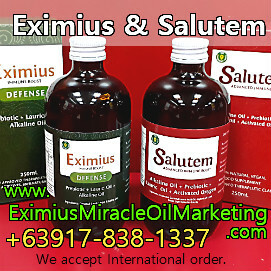 They applied Eximius Oil to the skin that is affected by psoriasis. Here is their testimonial. "Medyo tuyo naman na cya pero d pa ganun katuyo"
Translated to English: It (the affected area) is drying up but not yet totally dry. 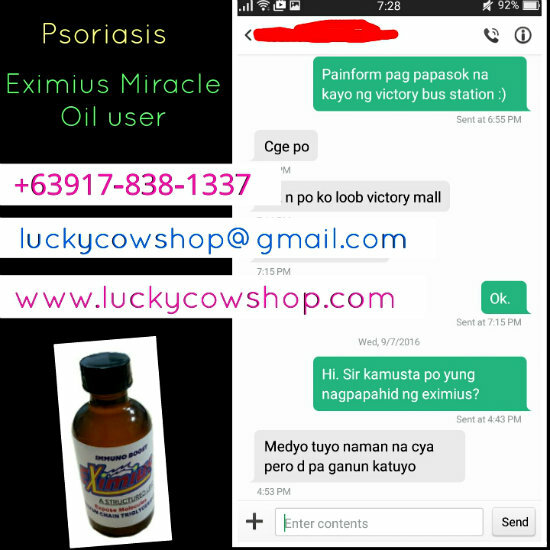 Eximius Oil can help heal up the affected skin are and the wound cause by psoriasis. If you know anyone who has psoriasis, Eximius Oil might be able to help them. Please share this post to them.